Summer is coming fast, and if you’re a parent or caregiver, you might be looking for fun ways to keep your kids busy (and learning) once school ends for another year. 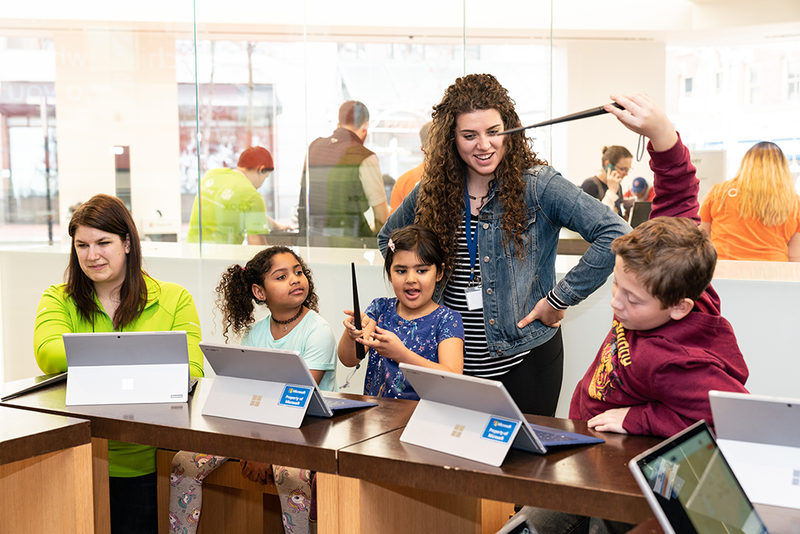 If your little ones are into gaming, technology, or even Harry Potter, the Microsoft Store may have a summer camp for them. 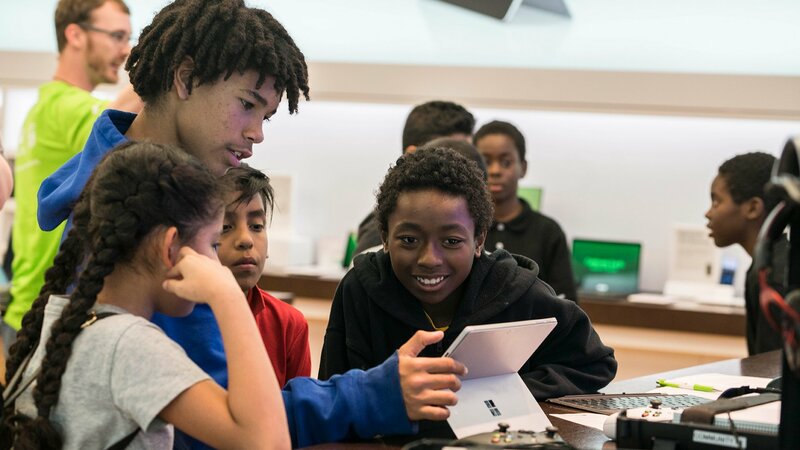 The Microsoft Store has held free summer camp events since 2009, and this year, two new video game-focused camps, along with two new Harry Potter-themed camps, are being offered for kids of varying ages. For video game fans, the “Design and Create Your Own Video Games with MakeCode Arcade” camp will allow kids 8+ to learn about computer science and video game concepts as they create their own video games. Kids can publish the games they create to MakeCode Arcade, which will allow them to keep playing the game (or share it with friends and family) even after they leave the store. The other camp focuses on improving kids’ life skills and teaching them healthy habits, all through the lens of Rocket League and Fortnite tournaments. This camp is called “Grow Your Passion for Gaming and Learn Positive Life Skills,” and it will be available for kids 8+ and kids 13+. The camp features daily Rocket League and Fortnite tournaments, which will help kids practice teamwork, communication, and more -- all valuable skills for both gaming and everyday life. The “Harry Potter Creative Coding Workshop” is designed for littles 6+. It will help kids “build a coding skills foundation” as they learn to cast spells and feed Fluffy, a three-headed dog from the Harry Potter universe. For slightly older kids (8 and up), the “Harry Potter Creative Coding Camp” will help kids learn coding skills as they cast spells and compete in a Quidditch match. Registration for each camp is open now, with camps taking place from May through August (the specific dates and times will vary, depending on the store). To register your kids for a particular camp, either visit a Microsoft Store in person, or search for a store on Microsoft’s website. If you don’t live near a Microsoft Store, video game-themed summer camps are growing in popularity, so consider doing a quick Google search to see if there’s something nearby that your kids might enjoy.